While there exist few businesses that are proud enough they are debt-free. But most of the companies had to borrow at one point or another to buy equipment, make new offices or cut payroll checks. For the investor, the dare is shaping whether the organization’s debt level is sustainable. For all this leverage ratio economics should be looked on. A leverage ratio is low or high can be found out using leverage calculator. Leverage ratio: good or bad? It is often a doubt whether borrowing or keeping debt is a good sign or bad. Well in such case, both yes and no becomes the answer. Let’s take an example of an organization which is opening its new warehouse because of increase in demand. Now, this company will need some funds for construction for which they might take the loan. Here, this company will be expecting its sales shoot in the upcoming time, to fulfil the borrowing cost. Because the interest related expenses are easily deducted within the tax, debt is becoming cheap. Thus, making debt a cheaper way of setting assets compared to the equity. The issue arises when this debt increases. Large debt amounts can turn as a load to any business. And if the extreme case arises, bankruptcy is the real possible scenario. The two prime ratios calculated here are- the debt ratio and debt-to-equity ratio. They depend on those records which complete a company’s balance sheet. It is also referred to as the debt-to-asset ratio. The leverage ratio low or high varies in cases. For better understanding, you should know for leverage ratio economics. Sometimes, the debt ratio is also defined as a ratio of total liabilities to total assets. But this definition gives an ambiguous understanding between debt and the liability. A debt ratio greater than 100% reflects the number of debts compared to the assets of any company. While debt ratio less than 100% shows the number of assets than the debts. This determination helps the investors a clear picture of the risk level of any company. This is primarily used to study the debt levels for any company. In other words, we measure how “leveraged” is the company, which is a measure of risk. Other than debt ratio, debt-to-equity- ratio is the most valued figure. In this case, higher numbers are looked upon as the positive ones. In general, a ratio of 3 and above shows the strong aptitude to pay off debt, although here, too, the threshold is different from every industry which is present. Instead of considering the total amount of debt, ICR focuses on the actual interest payment. This cost of interest payment is related to the operating income of the company. How to analyze the leverage ratio? There are various ways to analyze the debt. These ways are practiced by the investors before showing up money to any company. As the debt varies as the industry changes, so the analysts keep a track to distinguish these market ratios. This comparison gives exact stats of debts and assets of the company in a particular industry. The herd of active investors follow various leverage ratio calculations to get a broader picture of any firm. This gives them the sense of the sustainable practice of borrowing funds going within a company. Each leverage ratio calculation maintains the basic calculation and signifies the financial strength of that firm. If there is no news of the financial strength related to a firm, how can an investor rely on it? It is not just the reliance, but also the level of maintaining the leverages, which gives a company balance. 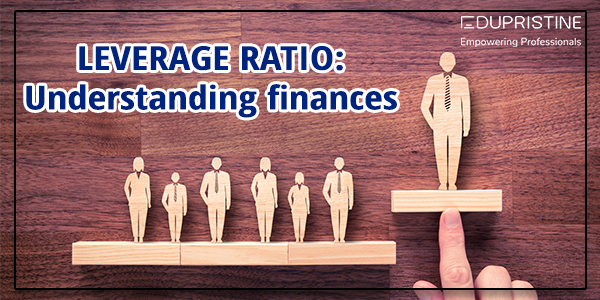 Thus, leverage ratio helps to calculate the balance maintained in a firm. This is done by keeping records of debt and assets. It is important to keep a track on the assets purchased and map them with the debt structure. Comparing the level of debt and asset defines the high and low ratio, and how to preserve them. When it comes to investors or stockholders, they prefer firms with low leverage ratios. They believe in protecting the interests, so if the business diminishes, less loss is faced. This is why the leverage ratio is followed and it preserves the company stats from loss.